1. Where is the data center located? You will be entrusting your network equipment to the hosting provider who will host said equipment at their data center. You need to know where your equipment is going to be placed and if that location will be a short drive in case you need to access the hardware. Selecting a data center that is relatively close to you and close to your targeted market is an ideal choice. 2. What is the bandwidth limitation and how much will I be charged if I go over? How much bandwidth a data center can provide to you is a very important question to ask. Bandwidth is the amount of data your server can send and receive. Like cell phones minutes, bandwidth determines how much data your server can use to communicate with other devices over the virtual world. The pipeline your server use to communicate is another important factor. A data center might have multiple OSX connection lines throughout the whole facility but if the pipeline connecting your server can only support a 50 Mbs connection speed, your limited to 50 Mbs. 3. What type of security is in place? Will your server be housed inside a locked cabinet? Will other people have access to your server? Is there a security staff that protects the building from vandals and burglars? Remember you are hosting your equipment inside somebody elses facility. Make sure that they have a security staff in place that monitors the building for intruders. All data centers have virtual firewall but few have biometrics scans to protect the hardware from physical tampering. 4. Does the data center provide a suitable hosting environment for servers? Some data centers are just converted office space that does not offer the kind of ventilation to properly host server racks. Overheating and poor design can cause servers to malfunction or slow down, effecting your business by overstressing your servers. Make sure that the data center is designed for server hosting with has hot/cold aisle or an effective method to control room temperature. 5. What type of remote access do they offer? If you are looking for an unmanaged server hosting plan then having remote access to your server is a big deal. You need a way to work on your server without having to drive down to the data center. A server requires a dedicated person to keep it updated and to make sure that the firewall stays immune to new strains of virtual viruses. 6. Does the provider offer remote assistance? Another important question if you are looking for an unmanaged server hosting plan. Remote assistance can make a huge impact for your business if your server goes down unexpectedly and you need someone in the data center to swap out hardware to fix the problem. Remote access to your server can only do so much; having a support staff inside the data center to help with hardware issues can mean the difference between your server going down for an hour or a whole day. 7. What are the hours of the data center? 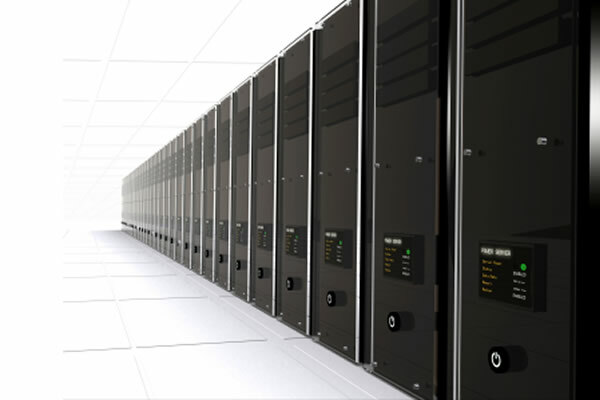 Having access to the data center at all times is crucial to keeping your servers online. What will happen if your server crash on a Saturday? Will the data center be open for you to go in and fix the problem or will your business have to suffer a weekend of downtime. Making sure you know when you will have access to the data center can save you time and money. 8. What type of connection does the data center provide? Most data centers are connected to the backbone of several Tier 1 service providers. This will give your server strong connectivity to the internet than any residential Internet service plan. If your company needs a fast and reliable connection to the server then a data center that is contracted with several top tier ISP can provide the best hosting environment. 9. Does the data center have a redundant power supply? A redundant power supply can power a server hosting facility for eight hours or more in case of a blackout. This will keep your server running even if the power goes out for the entire city. Data centers are equipped with their own power generator for such emergencies and can guaranteed that your server will stay online even if power goes out. 10. What is the data center tack record for server uptime?